Please refrain from typing thread subjects in all caps. <div class="forumQuote"><b>Luke_Devil Wrote:</b><br/>who cares........whats that NO ONE hahahhaha:legacy_mk_grin::legacy_mk_smile::legacy_mk_tongue::legacy_mk_tongue::legacy_mk_tongue::legacy_mk_grin::legacy_mk_grin:</div> <br/> <br/>Leave. Now. My only wish for the next Game is KITANA PLAYABLE!!!!!!!!!!! <br/> <br/>IO also think they should include the other chracters who have only had one appearance. Nitara, Rain, Sektor, Shinnok, Stryker, Kai, Fujin, Reiko especially as they are all alive according to the story. Jarek (yuck), Frost, HsuHao, Mavado, Khameleon and Sheeva are all dead but welcome to return. <br/> <br/>Also, FMV endings lol. My only wish for the next Game is KITANA PLAYABLE!!!!!!!!!!! IO also think they should include the other chracters who have only had one appearance. Nitara, Rain, Sektor, Shinnok, Stryker, Kai, Fujin, Reiko especially as they are all alive according to the story. Jarek (yuck), Frost, HsuHao, Mavado, Khameleon and Sheeva are all dead but welcome to return. If you mean this as a wish list for MK7 then I would like to see only 7 playable characters with matrix-esk graphics, full interactivity with everything, MANY distinctive moves/ Fatalities/ Friendships/ Hari Karis etc for each character, life like cinematics, and to generally be the most ‘real’ fighter ever released. I would also like MK7 to actually be MK-Zero set 500 years before MK1 with the original Kung Lao, Goro & Tsung all taking part. Goro should be sub Boss. Tsung should be the boss and be able to morph into characters that are not playable in order to access new move sets (which would make him darn hard). It should be possible to do fatalities on the boss charaters and them on you. Yes, I know I’m asking a lot.. but do it anyways. Oooooooh I like the diea of having MK7 as the prequel to the entire series, before MK1. That sounds good. They could introduce characters who had died before MK1 started and provide backstory for some of the main cast. They coudl maybe also put in the MKConquest characters Siro, taja and Vorpax (If they have the rights to those characters that is). <br/> <br/>I also think MK7 should have another female Earthrealm warrior. Sonya is getting a bit old IMO, unless they give her a major rework, she look like a Man in DA. Or maybe keep her but bring in another Female as well..
Oooooooh I like the diea of having MK7 as the prequel to the entire series, before MK1. That sounds good. They could introduce characters who had died before MK1 started and provide backstory for some of the main cast. They coudl maybe also put in the MKConquest characters Siro, taja and Vorpax (If they have the rights to those characters that is). I also think MK7 should have another female Earthrealm warrior. Sonya is getting a bit old IMO, unless they give her a major rework, she look like a Man in DA. Or maybe keep her but bring in another Female as well..
That was lame man.... Go "Attempt" to be funny somewhere else! Great ideas Moosie. Although I do disagree with the limited characters. <br/> <br/>I am not to fond of a decrease in the number of characters to be selectable. There are other fighters out which do push this generations machines to the limit and have a substantial amount or characters. the difference between them and MK is longevity and the numerous MK characters there are over many other titles. <br/> <br/>I've not checked the code for MK but I'm sure even with all the mini's and Konquest there is still space on the disc which means the ability to create more. All that is needed is someone willing to create more. I knw the Dev team has them or we would not have gotten konquest. <br/> <br/>Also the idea of previous tournaments prior to MK1 leads to the ability to allow MK to go over 1 disc if necessary. How it might be able to work is rather than play the same tournament over and over it would be more like a dynasty is a sports title. How it would could work. <br/> <br/>Characters would need to be separated by thier respective realms. So by selecting from lets say Earthrealm, you'll only see fighters from Earthrealm. For these fighters you would go through a series or tournaments. These tournaments would start prior to MK1 as Moosie stated and progress of course to the tournament following MKD. <br/> <br/>After the completion of each tournament you would of course gain a cut scene of some sort and with each completed tournament you would receive a cutscene that continues from the previous cutscene. Personally I would say stills until the completion of all tournaments. <br/> <br/>So after each tournament completion starting from the 1st you will have the ability to either defend your title in the next tournament or to hand your torch over to a new defender of your realm. After completing all of the tournaments for your realm then you would see a FMV for your realm. <br/> <br/>I dunno just something I thought up while waiting to post. What I like about it is it allows for progressive story arcs and the ability to have a magnitude of information by having an exceptable way of changing discs in a fighter. Any thoughts? please post. Great ideas Moosie. Although I do disagree with the limited characters. I am not to fond of a decrease in the number of characters to be selectable. There are other fighters out which do push this generations machines to the limit and have a substantial amount or characters. the difference between them and MK is longevity and the numerous MK characters there are over many other titles. I've not checked the code for MK but I'm sure even with all the mini's and Konquest there is still space on the disc which means the ability to create more. All that is needed is someone willing to create more. I knw the Dev team has them or we would not have gotten konquest. Also the idea of previous tournaments prior to MK1 leads to the ability to allow MK to go over 1 disc if necessary. How it might be able to work is rather than play the same tournament over and over it would be more like a dynasty is a sports title. How it would could work. Characters would need to be separated by thier respective realms. So by selecting from lets say Earthrealm, you'll only see fighters from Earthrealm. For these fighters you would go through a series or tournaments. These tournaments would start prior to MK1 as Moosie stated and progress of course to the tournament following MKD. After the completion of each tournament you would of course gain a cut scene of some sort and with each completed tournament you would receive a cutscene that continues from the previous cutscene. Personally I would say stills until the completion of all tournaments. So after each tournament completion starting from the 1st you will have the ability to either defend your title in the next tournament or to hand your torch over to a new defender of your realm. After completing all of the tournaments for your realm then you would see a FMV for your realm. I dunno just something I thought up while waiting to post. What I like about it is it allows for progressive story arcs and the ability to have a magnitude of information by having an exceptable way of changing discs in a fighter. Any thoughts? please post. What I want in MK7? <br/> <br/>TANYA. Il be happy with anything but keep Tanya! What I want in MK7? TANYA. Il be happy with anything but keep Tanya! I think more there should be special moves. But other than special moves, there needs to be a better way to combo punches, kicks and moves. Call them Special Attacks. A Special Attacks button to hold down while punching, kicking and moving the thumbstick. The more you move and press, the more spectatular the moves would be. there would be certain moves that would be more spectacular. A lot less Memorizing and a shorter learning curve. I love the idea of a prequel. If not, how about a series relaunch! <br/> <br/>Here's my idea: a goddess of fate (or something) starts to unweave the tapestry of time in an effort to save her beloved Shinnok. Mortal Kombat must be fought all over again! <br/>We havent' seen any goddesses and she could have a henchwoman: the 1st female sub-boss! <br/> <br/>Boon could redo MK like he originally envisioned (i.e. Shang has a sword to behead defeated kombatants). All the characters could have a upgrade since history is being reformed! <br/> <br/>Possible MK Kombatants: <br/> <br/>Liu Kang <br/>Yoritomo Minamoto (younger brother to famous japanese general - not) <br/>Johnny Cage <br/>Michael Grimm <br/>Jackson Brigg <br/>Curtis Stryker (african-american/ evil/ not the cop!) <br/>Rayden <br/>Scorpion <br/>Sub Zero <br/>Tundra <br/>Reptile (playable/ not a p. swap) <br/>Goro (maybe playable) <br/>Rokuro <br/>Shang Tsung <br/> <br/>Boon could also add: <br/>Hachiman (Japanese god of war and battle/ same pantheon as Raiden) <br/>Ermac <br/>Nimbus Terrafaux :legacy_mk_grin: <br/>Noob <br/>Smoke <br/>Tremor and Tasia (mk special foces) <br/>Kia and Jataaka (mk myth) <br/> <br/>MK is over 10 years old and a relaunch would allow Boon to revitalize the characters in new ways. I love the idea of a prequel. If not, how about a series relaunch! Here's my idea: a goddess of fate (or something) starts to unweave the tapestry of time in an effort to save her beloved Shinnok. Mortal Kombat must be fought all over again! We havent' seen any goddesses and she could have a henchwoman: the 1st female sub-boss! Boon could redo MK like he originally envisioned (i.e. Shang has a sword to behead defeated kombatants). All the characters could have a upgrade since history is being reformed! MK is over 10 years old and a relaunch would allow Boon to revitalize the characters in new ways. KEEP MILEENA IN MK7!!!!!! Shes the COOLEST! Choose her instead of Li mei tanya etc, MILEENA IS BETTA! <br/> <br/>ALSO! Video endings! thats cool <br/> <br/>and toasty? 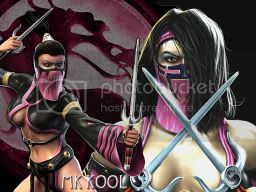 KEEP MILEENA IN MK7!!!!!! Shes the COOLEST! Choose her instead of Li mei tanya etc, MILEENA IS BETTA! SHAO KAHN VS. ONAGA <br/> <br/>MK7 KOMING 2006 <br/> <br/>IT WILL KONSUME THE HELL OUT OF YOU! IT WILL KONSUME THE HELL OUT OF YOU! 2~pop ups like in killer instinct. when u get knocked down.. this way u dont get 50/50ed to death!! 3~better game testers.. have them play w/ 1 character only.. as in 24 characters 24 testers.. so that all glitches can be discovered.. hopefully!! 4~2 different throws.. 1~ would be a pop up the 2nd would be a toss or what ever.. every 1 should have a pop up throw damn it!!! 5~if we are to have change style combos, we should be able to switch either way..
6~no more rank for online play.. it causes people to want to cheat.. using devices and stuff.. its better to have weekly tournaments.. list the top 100 that way..
7~same number amount of special moves for every 1..
8~kitana kitana and kitana!! lol i want my girl back in mk7..
9~kitana, sindel, and kung lao. mainly!! 11~unlimited combo breakers, have them like in killer instinct, u would have to press the same button ur foe is plus a back and fourth movement.. or atleast give us 3 per round and have it be its own button.. i waste tons of breakers while blocking..
First, MK7 should continue the story from where MKD ended. In MKDA and MKD were several storylines left unexplained, so they would do well, to finish them off in long-term. Second: I think Boon should overthink the MK storyline. Such great character concepts as Shujinko, Dairou, Hotaru except for Havik have been not tought through. Fourth: people stay dead, when killed. This should also aply for MK, so expect no more revivals, and those who were CONFIRMED DEAD (Sheeva, Liu Kang-at least he is a ghost, but he should leave the series as an active character, Kano, Kai, Shinnok, Tanya) would be left to rot, giving a dramatical boost to other newcomers and classics. Sixth: redefine fatalities. They are better than MK-DA but some are seriously off the hook. Like Darrius 2., Kabals 1., Raidens both-they are annoying, Dairou 1. and so on. more realistic but good looking fatalities. I would be pleased with a simple throat slit open, or a stab in the stomach when it comes to weapons. Seventh: Boon should consult John Tobias again, for character concepts, but i think he made an improvement with MKDA ,and MKD. Such charac-ters as Hotaru, Dairou, Havik, Shujinko, Mavado, BoRaiCho have potential, but they are still like raw meat. They have to be improved, mainly Shujinko, who should have a few specials of his own, but the style stealing is good. Counterpart of Sh.Tsung, who morphes into his opponents. Eighth: a redefined controll system, like Dead Or Alive, but keep MK traditi-ons, four attack buttons, one style change, one block, and one reversal. Controlls can be adapted by players in tuime, so that is secondary compa-red to feeling and storyline. I think they should give Shang Tsung back his ability to morph into anyone. They absolutely have to bring back Rain. Midway doesn't seem to understand how many people want Rain back. And we want Reptile. But not the gay lizard. Only the Ninja with maybe a lizard like face underneath the mask like in Mk4. 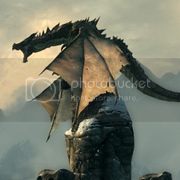 <div class="forumQuote"><b>somnambulist Wrote:</b><br/>What I want in MK7? <br/><br/> <br/><br/>TANYA. Il be happy with anything but keep Tanya!</div> <br/> <br/>I second that!! one of the main guys of midway confirmed sumthin about Rain has not fulfilled his role as a promising character, and therefore we should not expect him back in the series. This was in...1998 I think? Altough he was a crappy concept, his moves were good, except for his roundhouse. Rain is a must, his story was very good. Its setup has so much potential Rain could be in the ranks of Liu Kang here. Someone here said earlier that there needs to be another female from Earthrealm, agreed. Kira is an exception because she is in the Black Dragon, we're talking a female on the good side. Now how does this relate to Rain? How many Edenian characters are female? All of them. Rain is the only male giving him the uniqueness already, and he is the son of the former Edenian General. This would lead you to believe that he would take his father's place as a good guy. Great story, seems obvious but that's all that's needed to bring him into the open. Rain returns and to prove his loyalty to Edenia he will Sindel and Kitana in whatever happens in MK7. Rain has great potential, and because it seems like a lot of people want him in, he may make it into MKD GC IF there are exclusive characters.